This is the first of a five-part series this week. Over the next 5 days, I will provide you with the ultimate draft cheat sheet. All of the sheets were developed by myself and a few members of the South Jersey Fantasy Football League, collectively. Special thanks to Ricardo Martinez and Will McCafferty for their input. Printing these articles and encouraged. Thank you to everyone for taking the time to read once again. The feedback from my story last week on Michael Vick was terrific. I am extremely grateful to have the opportunity to write about my passion and share my opinion with others. With that said, this is my favorite time of the year. Baseball is getting down to the point where every game makes a difference, Tiger Woods is winning every tournament he enters, the Flyers and Sixers are preparing for camp, and NFL training camp is on with pre-season games already underway. My number one reason for this time of year, however, is Fantasy Football. I’ve been the commissioner of the South Jersey Fantasy Football League for 6 years now. It’s a nice size league with a bunch of really passionate people. One of the most fun days of the year is the Sunday before the first regular season game. On that day, we all pack into my residence for the Fantasy Draft. It’s quite the sight to see. Everyone has their laptops fired up, magazines and cheat sheets are spread over the entire house, and the trash talk is already underway. Preparing for your fantasy draft is always nerve-racking. If you’re not preparing for your fantasy draft then you’re not serious about winning. There’s an art to it. It’s not about just showing up and looking at your lists for the first time. All of these websites and magazines that claim to have the “most comprehensive draft kit” don’t make your job any easier. I, however, will make your job a whole lot easier. If you wanted that perfect cheat sheet that just can’t possibly be wrong, look no further. Drew Brees is coming off a year in which he fell 15 yards short of Dan Marino’s single-season passing record. He also chipped in 34 touchdowns. Don’t look for the new “Greatest Show on Turf” to slow down this year. Even at the age of 38, Kurt Warner is still a machine. 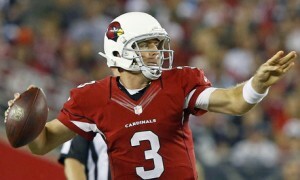 He plays in warm Arizona and has more targets than any other quarterback in the league. Look for him to come close to the 4,500 yard/30 touchdown season that he had in 2008. 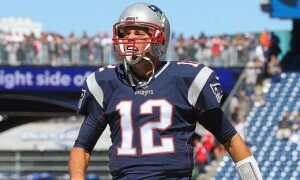 Finally, Tom Brady is ranked 6th. Tom Brady is there because he’s won three Super Bowl’s and two Super Bowl MVP awards. If any other guy in the league blew out every ligament in his knee, they wouldn’t even be in the top 20 this year. Sleeper – Mark Sanchez. I know I have Sanchez ranked 28th, but this is a guy that is being overlooked. Sanchez will and probably should start for the Jets. Sanchez was lauded in college for his intelligence and his ability to read defenses. Mark my words; Sanchez will have a better career than Matthew Stafford. Luckily for Sanchez, he’s going on a team that barely missed the playoffs last season. Toughest Debate – McNabb over Romo. I’m an Eagles fan. The guys on my team helping to compile these lists are Cowboys and Dolphins fans, respectively. Obviously I listed McNabb over Romo and my Cowboys helper chose Romo over McNabb. It was a hard choice to put McNabb over Romo but my reasoning is this. McNabb has DeSean Jackson (who thus far has been labeled as “uncoverable”, even by Asante Samuel, in training camp) Jeremy Maclin, Kevin Curtis and Hank Baskett. Romo lost Terrell Owens. He now must rely on Jason Witten (a stud), Roy Williams (who did squat after he was traded to the Cowboys last year) and Patrick Crayton. Crayton has always been surrounded by great receivers such as Owens, Roy Williams, Terry Glenn, and Keyshawn Johnson. He has never been a starter like he will be this year. Without the multiple weapons that defenses will hone in on, Crayton has a lot to prove. The days of lining up in the slot in single coverage against a team’s third best corner or safety are over. The Eagles also pass the ball a lot more. McNabb will put up more fantasy points than Romo. Apologies to: Eli Manning ranked over anyone higher than 25th, and deciding who would actually start in Tampa Bay, Cleveland, Detroit, and Oakland. 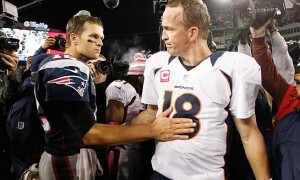 Pre-Order Madden 2010 for the PS3 with free shipping and a $10 Amazon card by clicking here. Pre-Order Madden 2010 for the Xbox 360 with free shipping and a $10 Amazon card by clicking here.